To Dunn Rocks From Rossiter Bay By 4x4. Rossiter Bay To Dunn Rocks By 4WD. Rossiter Bay is just 6 km east from Lucky Bay; this is another great beach which stretches over 8 km's until it meets Dunn Rocks. Dunn-Rocks is the end of Rossiter beach and just on the other side of the Rocks is another beach which is just short of 10 km’s long. 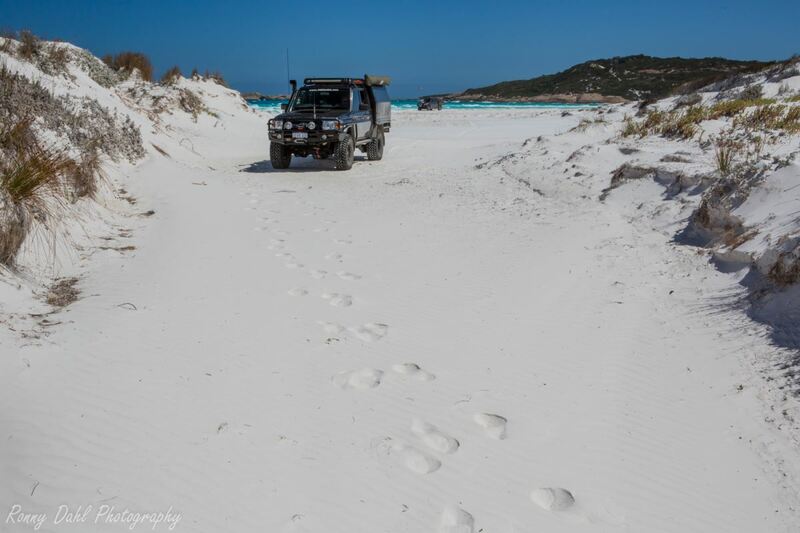 We also highly recommend traveling to this area via the Esperance to Le Grand NP beach. Once onto Rossiter beach (accessed via Lucky Bay road) it gets very soft and low psi is required to avoid sinking into the sand. Follow the beach all the way until it ends at a rocky point. This exact spot we found to be the best as it was sheltered by the Dunn rocks, the water was calm and yet again crystal clear. Some of us did a bit of fishing here too as the rocks allowed for further casting. Depending on the wind at the very start of Rossiter beach could be better as it has a similar wind sheltered area, however the winds tend to come from the east most of the time. Getting to Dunn-Rocks beach from here is due north for about 200 meters, finding the correct track across to the beach in a little maze of tracks may cost you 10 mins (it’s not too bad). Once at Dunn Rocks it opens up to yet another beach run, this one is even longer than Rossiter Bay beach. Along the way is plenty of river streams running out to the ocean and as you get further along the beach heading east you will pass a few bigger river steams. Beware in winter as these areas will be wash outs. The beach continues all the way to a point which was as far as we went. On the other side of the point is yet another beach. Beware however, the beach gets very narrow at some areas even during low tide! 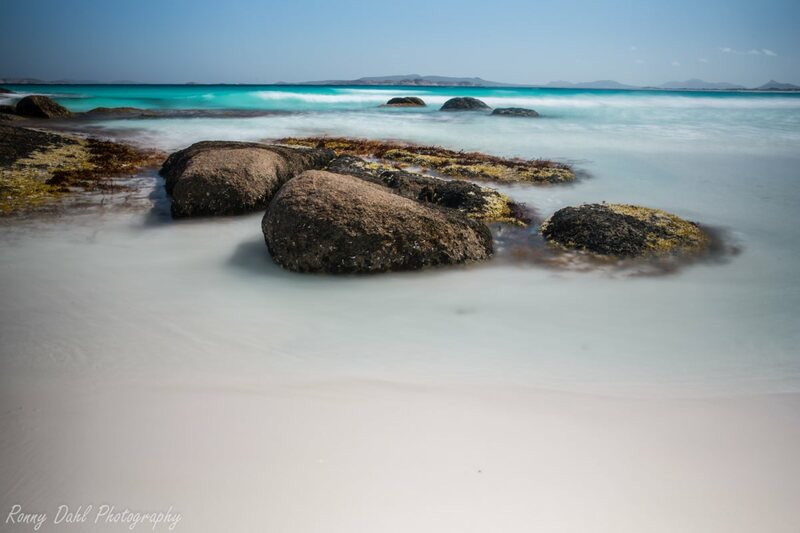 There is not much more to say without repeating quotes from other Esperance beaches as they are really all similar in crystal clear water, white sand and very long. 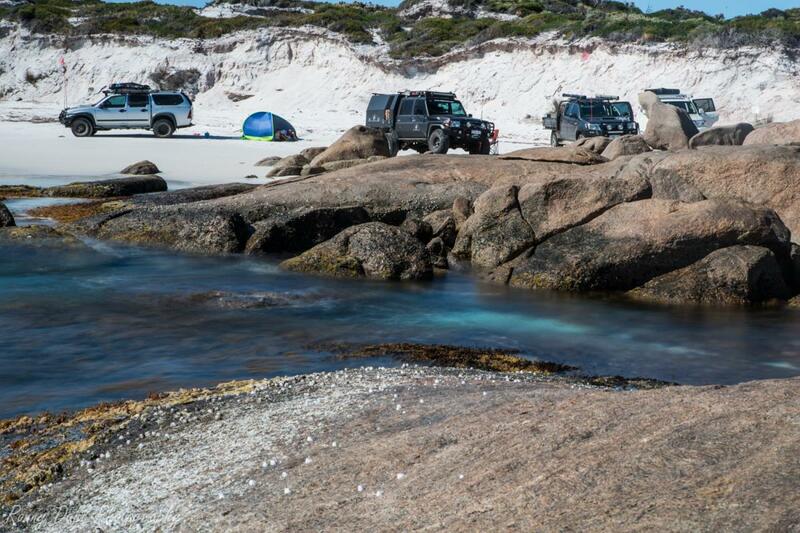 If you like the beach Esperance & surrounding national parks will not disappoint! Hard & soft sand beaches which will require low tire pressures. Take care of other beach goers in peak season. Recommended psi is 14-18 however the beach will change all the time so lower psi may be required. Beware this beach can get very narrow even during low tide, research the tide time before you visit! Late October to April to make the most of the warmer months. The exit to Dunn-Rocks and the wind sheltered area. The exit to Dunn Rocks and the wind sheltered area. Checking out a dried out inlet. 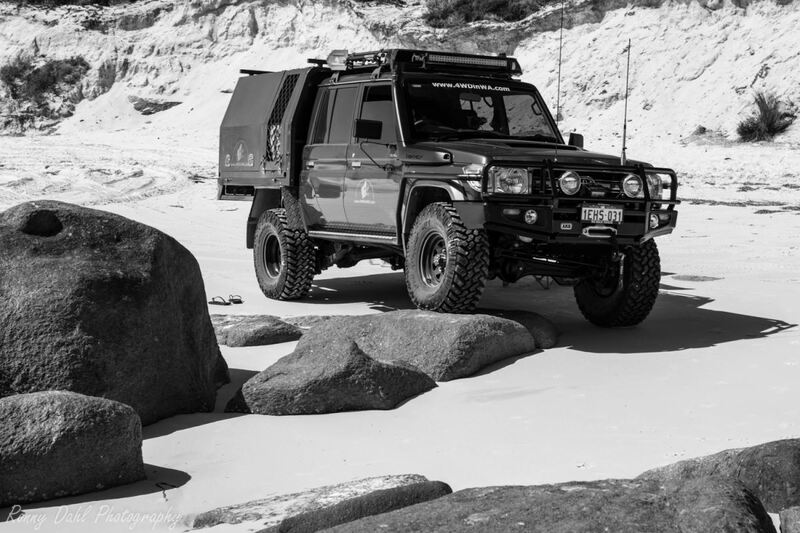 Leave Dunn Rocks And Go 4 Wheeling In Western Australia.